Some people claim that winter is ski season. Or hockey season. Or skating season. Some of us know better. In New England, it’s eating season. 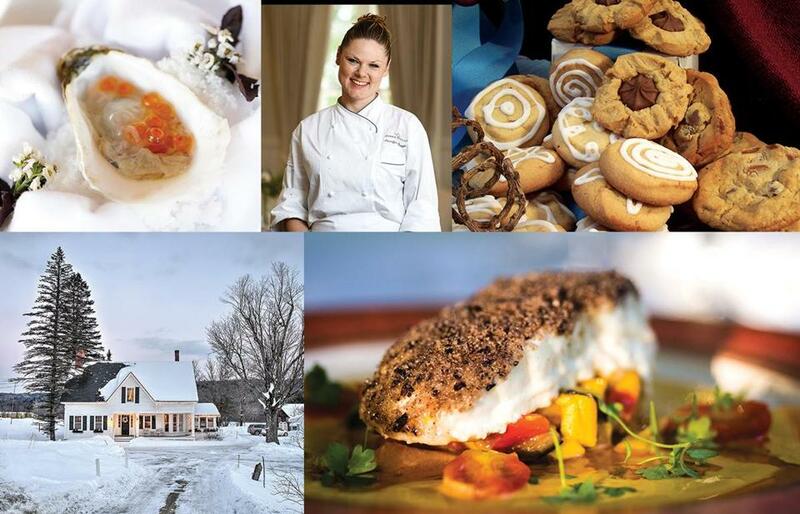 Top row: Ocean House chef Jennifer Backman and one of her dishes; The White Mountains Inn to Inn Holiday Cookie and Candy Tour. Bottom from left: The Lincoln Inn and Restaurant and nut-crusted Atlantic halibut on a bed of summer vegetables at the Old Inn on the Green. Up to six lucky guests per night (Wednesday-Sunday) can elect the Chef’s Counter Experience for a front-row seat on everything going on in the open kitchen. The menu, which changes nightly, includes six to seven small courses served by the cooking staff. Most nights include a caviar course, a plated cheese course, and — Backman promises — a few surprises. Diners at the restaurant’s regular tables enjoy a four-course savory or vegetarian tasting menu. Like a French provincial auberge, this converted 1875 farmhouse features a great restaurant downstairs and a handful of cozy B&B rooms upstairs. Chef Jevgenija Saromova — probably the best chef in New England that you’ve never heard of (yet) — and owner and proprietor Mara Mehlman have created a food lover’s destination with some of the most creative fine dining in Vermont. Saturday nights are reserved for the inn’s four-course fixed-price dinner, but a seven- or 12-course Chef’s Table tasting menu is also available most other nights. The Chef’s Table is often served in a small private dining room at the back of the inn where Paul Newman and family used to eat when they came to Woodstock. Saromova emphasizes local ingredients, but “dining here is not about maple syrup and cheddar cheese,” notes Mehlman. The chef came to Vermont straight from the Michelin-starred Yorke Arms north of Leeds, and classical haute cuisine is her forte. Diners electing the Chef’s Table put themselves entirely in her hands. The kitchen is a one-woman show, which makes the precise timing and gorgeous plating of multiple courses all the more remarkable. Old Inn on the Green. 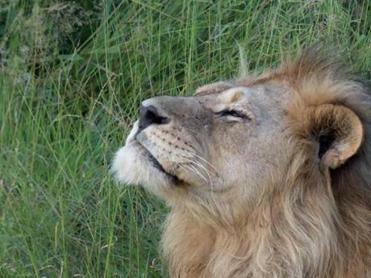 Botswana has banned big game hunting and isn’t looking for high-volume tourism. That makes it the perfect destination for a safari. The original inn even has electric lights — just not in the dining rooms. The soft glow and gentle flicker of candles and fireplaces cast your dining companion in the best possible light while providing adequate illumination to appreciate Platt’s sophisticated take on farm-focused cuisine. You won’t know what to expect, since the menu changes daily, but don’t worry — trust the master chef. Saturday nights feature a four-course fixed-price menu. The bargain-priced midweek special includes lodging, breakfast, and a three-course dinner on Sunday, Wednesday, or Thursday. You don’t have to don Manolo Blahniks to dine at Arethusa al Tavolo, but if you do, you’ll look as stylish as the dishes, and you might curry favor with the restaurant’s owners — top executives of Manolo Blahnik USA. They also happen to be connoisseurs of great dairy products and owners of Arethusa Farm, with its allied dairy and cheese-making operation. Originally patterned on a wine and cheese bar from Italy’s Puglia region, Arethusa al Tavolo has, according to OpenTable, blossomed into one of the country’s top 100 restaurants. Chef Dan Magill is in perfect synch with the owners. He begins his menu with a quotation from Julia Child: “If you’re afraid of butter, use cream.” Farm to table is more than a slogan here. Cheeses, milk, butter, yogurt, and eggs from Arethusa Farm and produce from Beaver Meadow Farm in nearby Litchfield all appear on the menu. Offerings change frequently, but count on bounty-loving dishes such as One Dozen Vegetables on a Plate or ravioli filled with Arethusa Farm Camembert. For an overnight (so you can return for lunch on weekends), try the Litchfield Inn, less than 2 miles up the road. 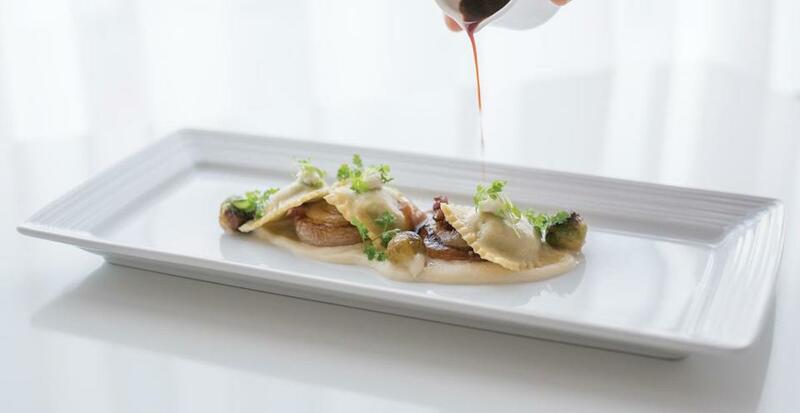 Both the omnivore and vegetarian fixed-price menus emphasize modernized classic fine dining with products sourced, as much as possible, from northern New England. Desserts are extra, but they’re so luscious that you can split one and put the savings toward the wine pairings. There’s something marvelously extravagant about having the waiter pluck your bottle from among thousands resting on the wall behind you. The fieldstone fireplace at the Salem Cross Inn. 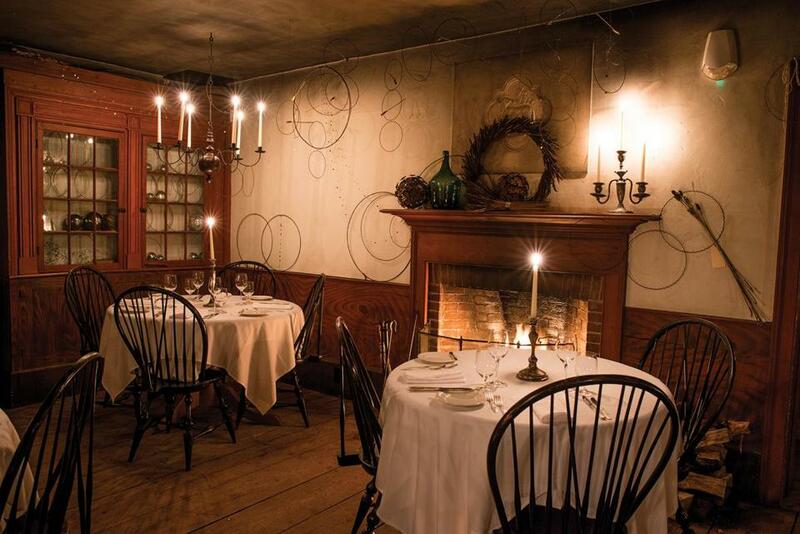 For New England foodies, the Fireplace Feast at the Salem Cross Inn is a winter rite of passage. 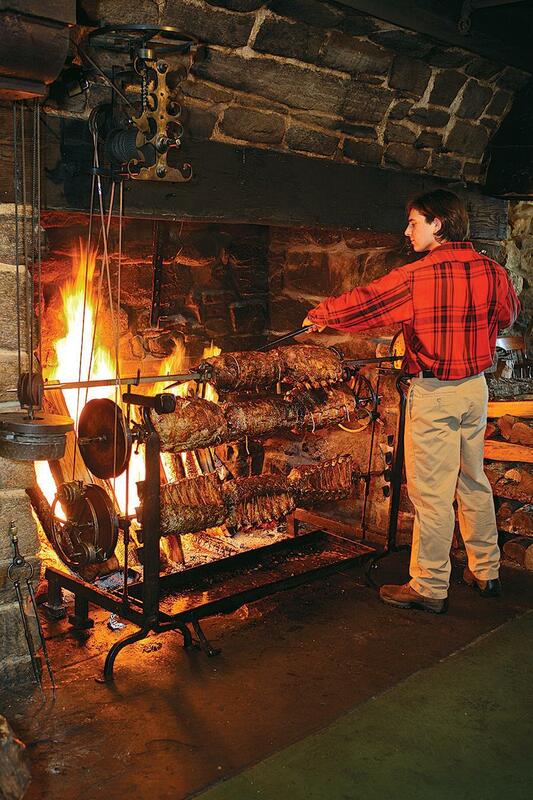 This is cooking at its most elemental: Working with the wave of heat thrown by cherry logs in a massive fieldstone fireplace, cooks crank up a circa-1700 spitjack to roast huge racks of beef. When the meat is done, a cauldron of seafood chowder is suspended over the fire, and when guests sit down to eat, the scene feels a bit like something out of Tom Jones (minus the rude behavior under the tables). Before dinner, guests take a horse-drawn wagon or sleigh ride over the rolling property, warm up with mulled wine or cider, and roam the venerable barn attached to the 18th-century farmhouse to admire antique farm implements. The meal is crowned by freshly made apple pies served with just-whipped cream. Alas, the Salem Cross Inn does not have rooms for the night. If you’re reluctant to reenter the 21st century, stay nearby in Sturbridge at the comparably historic Publick House Inn. Ricky Klein, founder of Colchester’s Mead Hall. Channel your inner Eric the Red at Colchester’s Mead Hall, a Scandinavian-style establishment that showcases the honey-based brews of Groennfell Meadery and Havoc Mead. Ricky Klein, a.k.a. Ricky the Meadmaker, developed a passion for the beverage while living in Denmark. He’s given the Mead Hall menu a Viking twist, including several variations of pickled herring and a plate of Scandinavian cheeses. 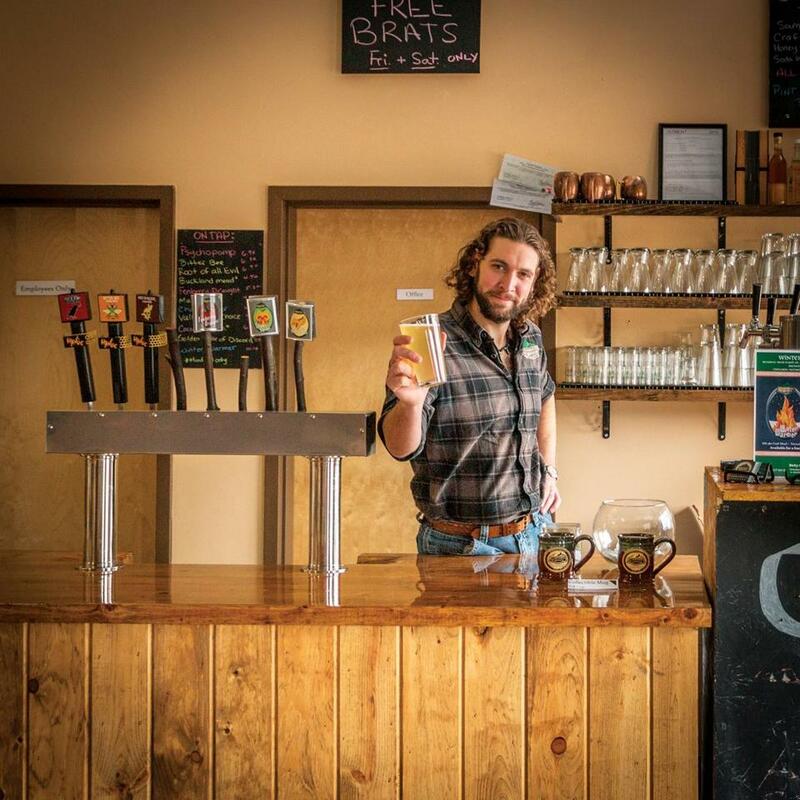 The restaurant evolved from a tasting room at Klein’s meadery and has become something of a North Country community gathering spot. Sampling the brews is still a big part of the experience. Groennfell’s line runs from a classic craft mead (Valkyrie’s Choice) to variations with added fruit (cranberries, apples) and spices. Havoc’s craft meads boast more assertive flavors. Winter favorite Fire-Drake contains chili peppers and cocoa extract. Klein’s favorite Mead Hall pairing is the chicken slow-cooked with horseradish served over a bowl of barley with a pint of the Valkyrie. (Cue the Wagner.) Plan on staying the night in Burlington at the snazzy boutique Hotel Vermont. 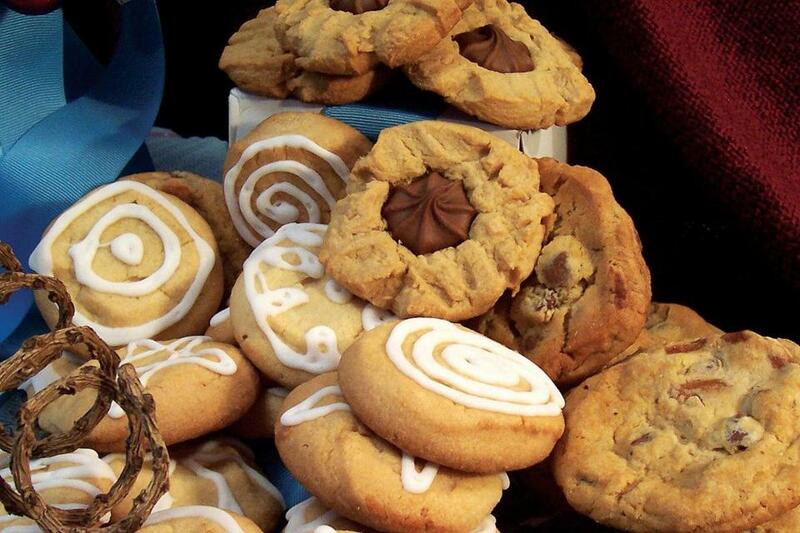 The White Mountains Inn to Inn Holiday Cookie and Candy Tour includes treats from the Inn at Crystal Lake. The inns stretch from Jackson, New Hampshire, south to Eaton, New Hampshire, with a detour to Fryeburg, Maine, but each is no more than 15 minutes from the next. To purchase tickets without a lodging package, call the Old Red Inn at 800-338-1356 from November 28 to December 6. Plan on spending at least a half-hour at each stop to see the holiday decorations, pick up your cookies or candy, and perhaps peruse crafts for sale. Executive chefs Shelby Stevens and Chris Long offer a lobster tasting menu all year because, as Stevens says, “people who come to Maine want to eat lobster, and we want to present it in ways they’ve never seen before.” The chefs have no trouble getting the crustaceans in icy weather. There’s always someone in midcoast Maine who fishes for lobster in the winter, and the cold-weather catch is said to be a bit sweeter and brinier. The tasting menu, which changes every eight to 10 weeks, features four lobster courses plus dessert. After several years, Stevens and Long have created a deep repertoire of surprising dishes. Although pairing lobster with lemon is classic, Stevens likes to play with other citrus fruits such as grapefruit and Buddha’s hand for the winter salad course. She says lobster also goes nicely with bacon, lentils, and ham hock broth. The chefs are even contemplating a buttermilk panna cotta with caviar, lobster, and sea urchin roe. Matched wine pairings are available from the restaurant’s deep list. And the plush beds in your room at Camden Harbour Inn are just upstairs. Don’t count on hailing an Uber to the Cliff House. Unless you’re a technical climber, you’ll have to arrive by gondola — the restaurant perches 3,625 feet up the side of Mount Mansfield. The view en route is rivaled only by the view once you arrive. Inside the rustic chalet-style structure, floor-to-ceiling windows frame the high-country vistas. Led by chef Matthew Hess, the crew in the open kitchen crafts hearty, casual offerings that range from burgers and sandwiches to barbecued ribs. And that’s just for lunch. Starting in January, the Cliff House continues its year-round Summit Series dinners twice a month on Saturday nights through March. The fixed-price dinners are usually built around a featured regional food or beverage such as craft beer, cider, Vermont cheeses, maple products, or perhaps distilled spirits. The gondola starts running an hour before dinner so guests can enjoy a reception with live music and hors d’oeuvres. Darkness envelops the mountain at dinnertime, but gazing down on the lights in the valley makes you feel like you’re on top of the world. Be sure to book your room ahead at the Stowe Mountain Resort. Patricia Harris and David Lyon are frequent contributors to the Globe Magazine. Send comments to magazine@globe.com. Follow us on Twitter @BostonGlobeMag.